Beer is made with four primary ingredients: water, barley, yeast and hops. All of these come in a lot of varieties that influence the overall character of a brewer’s beer. 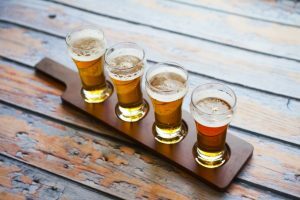 Craft beer drinkers have generally preferred floral, earthy, and citrus hops, but within the past two decades, this preference seems to have shifted towards the pungent fruitiness of varieties like Mosaic and Galaxy. But what exactly is in store for those looking to buy Galaxy hops? The modern hop is derived from an ancient plant believed to originate from Egypt. Hops were first cultivated in the Low Countries, now Holland and Belgium, in the 13th century. The words ‘beer’ and ‘ale’ today are almost synonymous, but ale was actually for brews made from malt with no hops. Now, beer is made from many different varieties of hops, such as Amarillo, Cascade, and Galaxy. Galaxy descends from the German variety Perle. A unique Australian breed, it holds the highest percentage of essential oils in the hope industry. It has become very popular among Australian brewers and those from other countries, and first became commercially available in the US in 2011. Beers made entirely out of Galaxy were developed for the growing demand for high oil content hops with a pungent, fruity character that lasts until the beer is finished. Galaxy has good peach, citrus, and passion fruit aromas, noticeably more so when used as a late addition. It can also carry notes of pineapple and tropical fruit. Its flavor can be intense during production but becomes mellow as the beer matures. Those looking for something gentle, fruity, and pleasant will make the right decision to buy Galaxy hops. Galaxy hops can be quite rare especially because it is under patent and no rhizomes are commercially available for growing in backyards. But with its increasing popularity, Galaxy hops is sure to be making ripples worldwide.